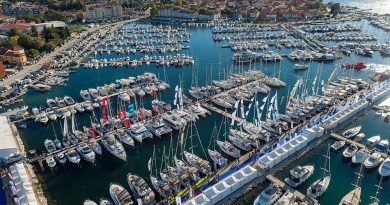 Central Europe’s In–water Show Delivers Another Record Show, with Over 320 Registered Exhibitors and Well Over 300 Boats. 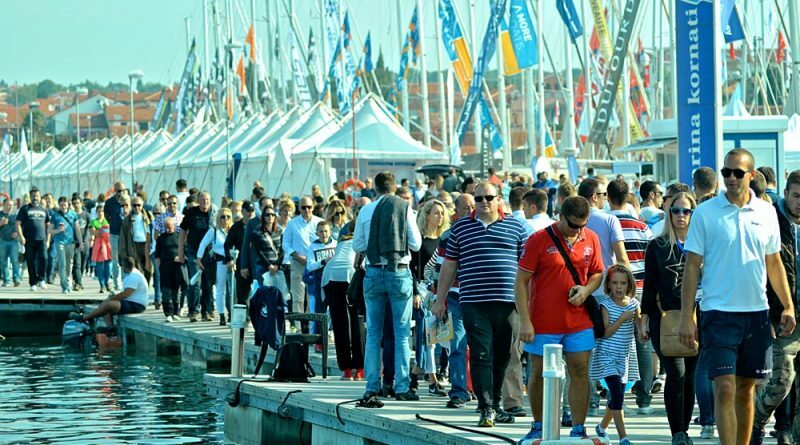 After 19 straight record shows, the Biograd Boat Show has firmly established itself as Central Europe’s in-water show, with the most exhibitors and vessels on the Adriatic. 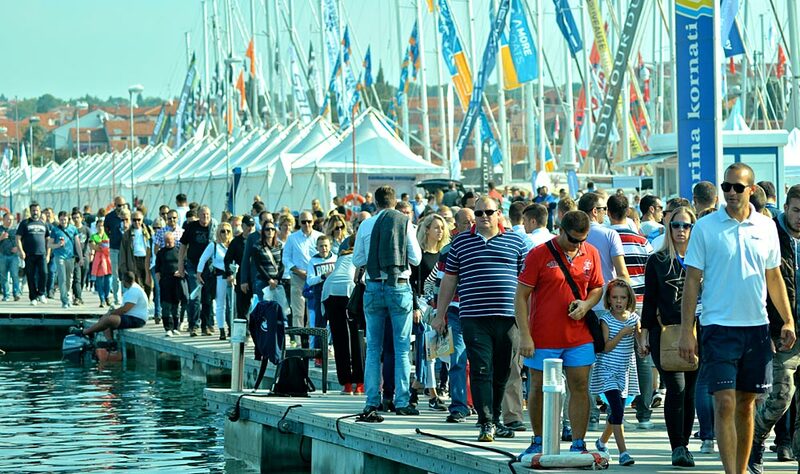 Fantastic weather helped boost total attendance to a record 16,265, or more than 3 times the population of Biograd. The exhibitors cover a broad range of international brands with more than 40 premiere vessels. Many local manufacturers showed their latest products, such as the world premiere of the More 40 sailboat, and the in-water debut of the Pear Sea 56 hardtop. Unlike any boat show in the world, this 4 day festival of boating has exhibits until sunset, with socializing entertainment until 2:00 am, spilling over into the town center. It takes place in the 800 berth Marina Kornati, set in one of the most beautiful boating areas of the world, as evidenced by the world’s largest concentration of charter yachts. 12 social events in 5 venues at the marina attracted thousands of participants with 5 bands, DJ’s, 5 Jumbo screens and an impressive fireworks display. Multiple regattas attracted more than 600 participants. With such an elaborate program and beautiful setting, it is a magnet for international visitors that gravitate to the Adriatic. Biograd B2B participants register their business and arrange meetings, while networking through social events, and an extensive Congress Program, which included an impressive new Nautical Congress run by the Croatian Chamber of Economy. Biograd B2B is seen as the future in terms of the shows expansion as there is almost limitless growth potential, during a time where many potential exhibitors were turned away due to lack of exhibition space. International Business Visitors will be targeted, offering them a great platform to learn about the Croatian boating market, with direct access to all exhibitors and B2B participants.